Reserve your vacation in our newly renovated 5 bedroom 2 bath private home, includes gas fireplace and washer & dryer. Relax on the wrap around deck and enjoy the breathtaking sunsets. Or you may prefer to book one of our five 2 and 3 bedroom cottages. While vacationing in the cottages you can enjoy the large private property equipped with BBQ's, picnic tables & fire pit. These accommodations are just a 3 minute walk to clean sandy beach, harbour and sunsets. 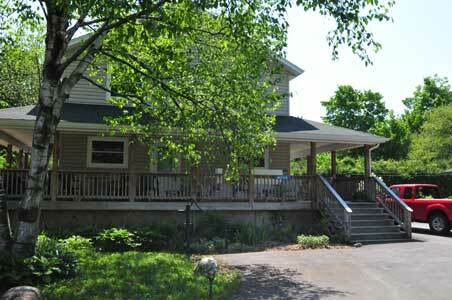 Enjoy the large private property equipped with BBQ's, picnic tables & firepit. Laundry facilities on-site. Available year round.